Year: 1957 Item #: 384 Views: 4,695 Comments: No Comments. 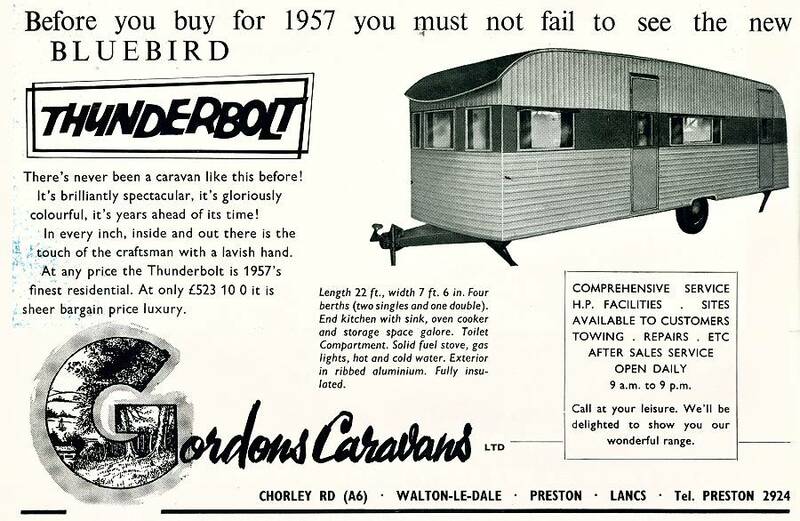 Before you buy for 1957 you must not fail to see the new BLUEBIRD THUNDERBOLT. There's never been a caravan like this before! It's brilliantly spectacular, it's gloriously colourful, it's years ahead of its time!